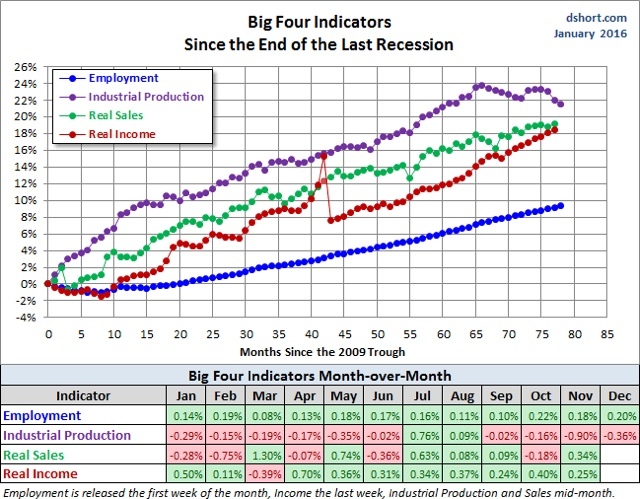 There has been a rebound to "less bad" readings in a number of indicators, that may or may not be an artifact of year end - start of year seasonality. 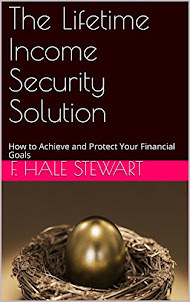 Back in 2008, I wrote an article called Hoarding in Plain Sight, making the argument that the tightness in oil supplies was crucially augmented by the decision of the Bush Administration to double the amount of Oil secreted in the Strategic Reserve, at the same time as other countries such as China also decided to start their own such storage facilities. I suspect an opposite trend is in play now. After all, very few analysts are taking the position that China's economy is actually contracting, rather than just growing at a lower rate. If it's still growing, why wouldn't it be using even more commodities, increasing global demand? 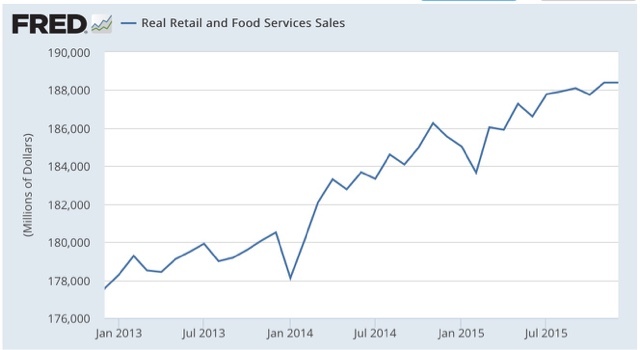 A change in stockpiling behavior is an answer that fits the data. Let me give an example. Suppose I am a user of commodity Q. In Year 1 I made use of 1 million tons of Q, *and* stockpile another 250,000 tons. In Year 2, with my economy growing, I make use of 1.05 million tons of Q, but I cut back on my stockpiling to 100,000 tons. What happens to the "end demand" for Q? It falls. In Year 1, I demanded 1,25 million tons of Q. In year 2, I demanded 1.15 million tons of Q -- a decline of 100,000 tons. When metals warehouses in top consumer China are so full that workers start stockpiling iron ore in granaries and copper in car parks, you know the global economy could be in trouble.....China's refined copper imports have surged over 70 percent so far this year to 1.1 million metric tons, while demand from Chinese manufacturers was forecast to rise by up to 7 percent. Meanwhile, iron ore shipments have risen 6 percent, with traders reckoning that local demand growth is much lower. If you are looking for an example of China's economic slowdown, visit the country's biggest coal port.The huge stockpiles of coal are growing ever higher as factories and power plants cut back. CHINA, the world's largest coal producer and consumer, plans to build stockpiles of the fuel in the eastern province of Shandong to ensure supplies and help stabilise prices, the nation's top economic planner says.The province would complete the construction of four to six coal stockpile bases within the next three to five years, the National Development and Reform Commission said.The bases would each have a capacity to store more than 20 million tonnes of coal. China and India [ ] from 2008 to 2013 accounted for 98% of the increase in world coal trade. In the rest of the world, exports and imports of the commodity declined over the same period. 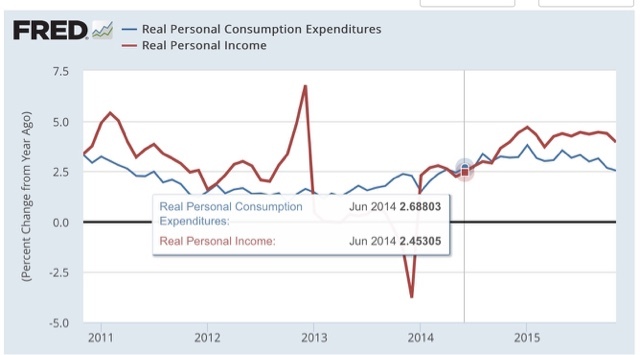 The Chinese economy is opaque. I do not know whether it actually has declined, or slowed down, or simply cut back on stockpiling. 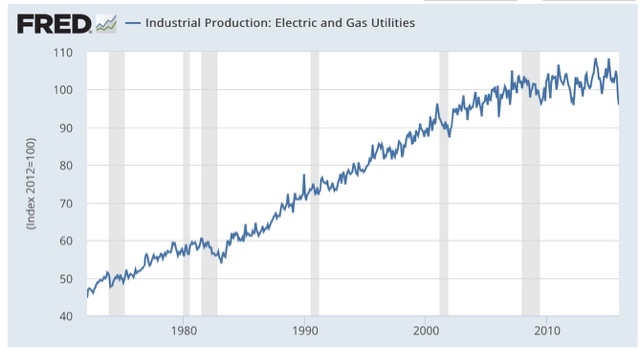 But to go back to the example I gave at the beginning of this article, "end demand," which includes both use *and* stockpiling, almost certainly declined. 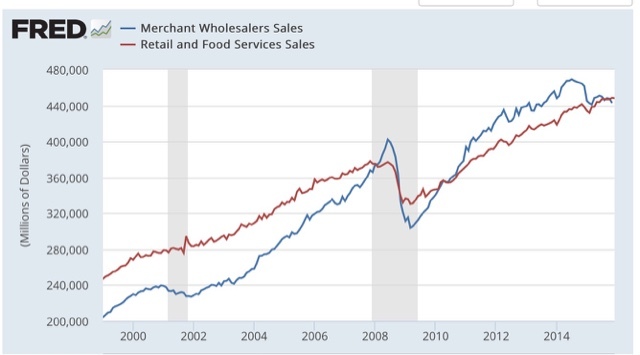 This doesn't simply mean that suppliers now had to compete for reduced demand. Because of the vast increase in Asian, primarily Chinese, demand, increased supply was also called forth. The combination of increased supply and decreased end demand is a recipe for a commodity crash. That not just oil, but all commodities, crashed, pretty much in unison, is strong evidence that the causation went from weakened final demand to a decline in commodity prices, not the other way around. Housing is the single most leading sector of the economy. The record warmth in the Northeast in December just added to the difficulty in making a clean interpretation. My post sorting through the mess is up at XE.com . 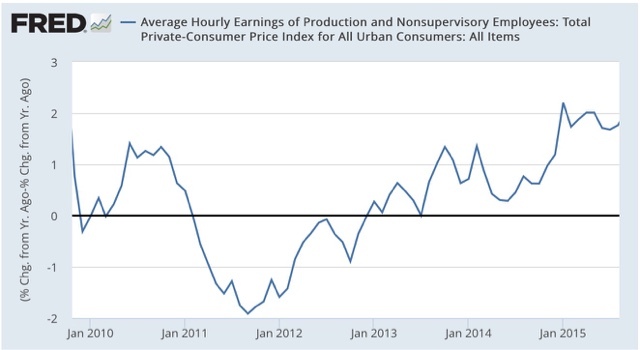 The negative deflation report for consumer prices in December confirms that the US consumer is alright, and workers' paychecks in real terms continue to grow. was almost certainly weather related, since nobody east of the Mississippi was buying winter goods as they basked in September-like warmth. So I don't want to overstate this. 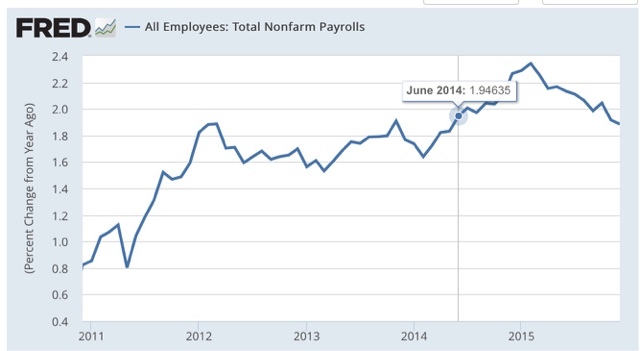 We still have real problems with underemployment and sluggish wage growth. 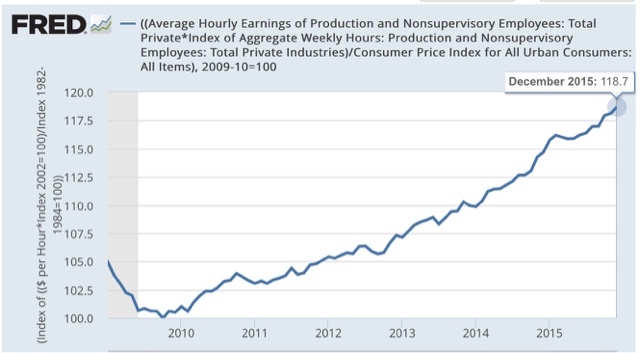 But the average American is doing better now than they have in nearly a decade, and the consumer economy - 70% of the total - is simply not rolling over. Has the energy bust helped or harmed average Americans? 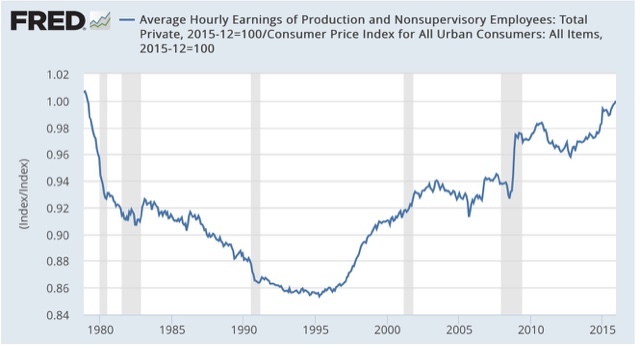 In the last week, we've seen an emergiing Doomer meme of, "See, we told you, the decline in oil prices has harmed the economy!" Here's a quick question: would you rather have high commodity prices or lower commodity prices? 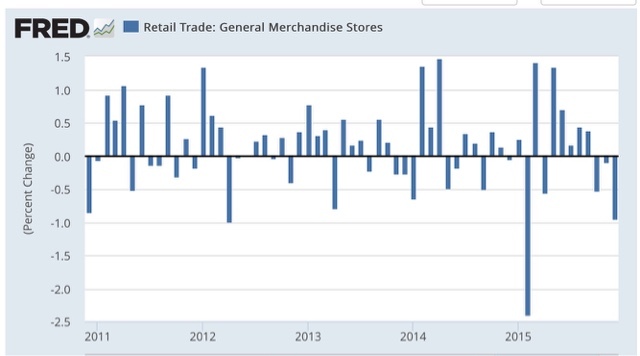 It's pretty clear that being able to run an economy on low priced goods is a boon. That doesn't prevent the pain to commodity producers being concentrated in time, while the benefit to consumers is spread out over a longer time. It's still a net boon. And the fact is, average Americans have benefitted from the decline in oil prices. 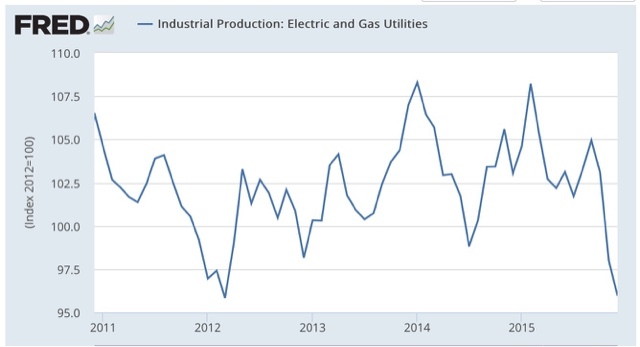 Outside of the last 2 reporting months, we had the best employment growth of the entire expansion coinciding with the big decline in energy prices. We've had some of the best income growth in the last 16 years due in large part to the decline in energy prices. 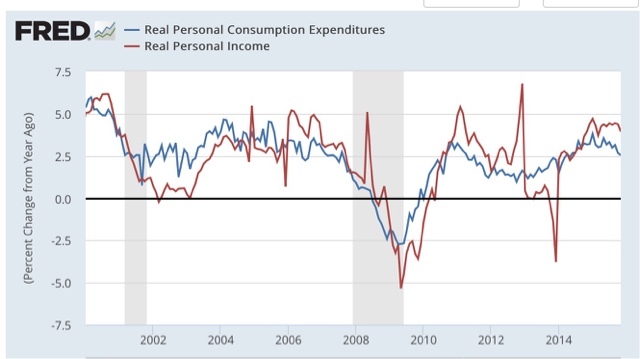 The simple fact is, except for the last 2 months, not just income, but spending also has risen more during the energy bust than before it. Yes, the energy bust has devastated the Oil patch, and the surge in the US$ has harmed producers in general. But American families on average have seen their lot improve. 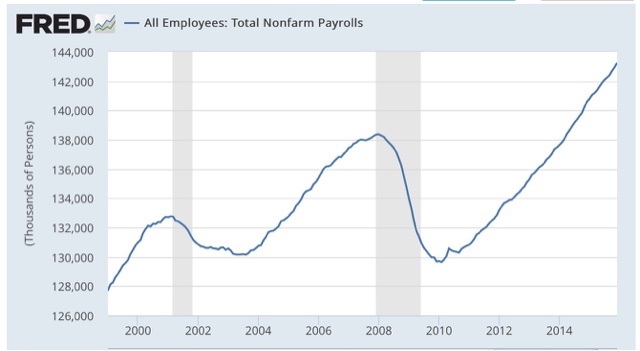 I've been ridiculing Doomers - who always and everywhere only see bubbles, if data is going up, and crashes if it is going down - ever since 2009. I fully intend to continue doing that, but it is no falsehood to say that in right now they have their most reasonable case since that time. Nocie that it is only in the last two months that industrial productioin really gapped down - keep that in mind. 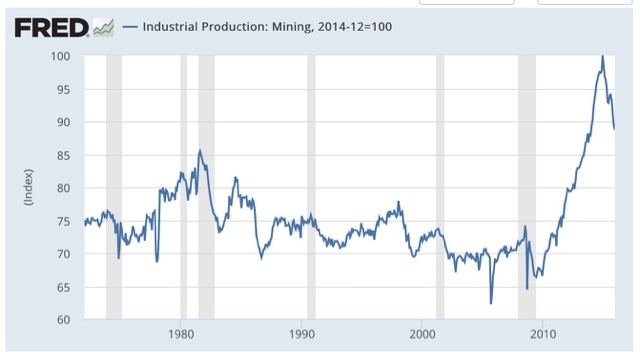 This is the commodity sector, and it is absolutely horrrible, among the worst downturns in the last 50 years. Remember what I told you about keeping in mind the last 2 months? 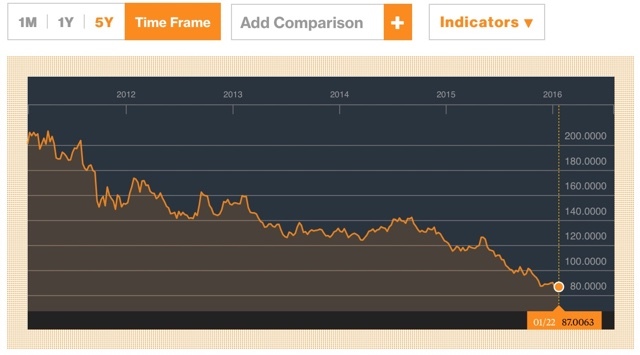 Well, the entire downturn in utilities has taken place in the last 2 months. And in case you needed a refresher, the autumn months in the US were the warmest on record. December broke even more records. So utilities weren't exactly working at breakneck speed to churn out energy for heating. 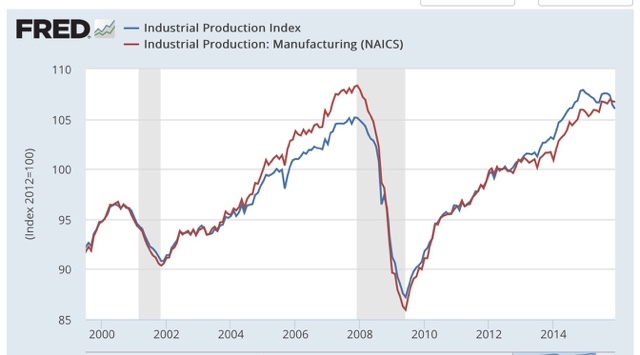 There was a big downturn in employment from 2001-03 coinciding with the giant sucking sound of manufacturing jobs relocating to China. 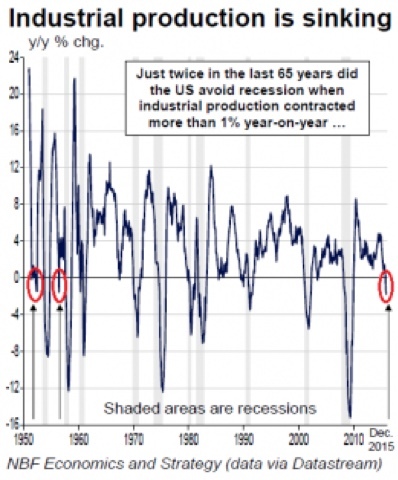 The bottom line is, this remains a commodities recession only at this point. With an assist from climate. If January weather returns to normal, there will be a rebound.